Cardboard box of corn flakes and jar of chocolate peanut butter. Tasty and healthy breakfast. 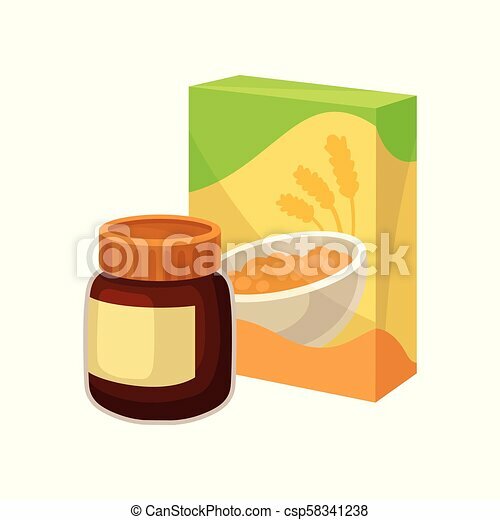 Icons of supermarket products. Colorful vector illustration in flat style isolated on white background.